Whether you drive a timeless classic, a modern collectible or a purebred racer rescued from the track, you need to know that your car and your investment in it are in good hands. It's a fact that drivers of rare, high value and powerful cars are often unfairly punished by their insurers. Whether it's that desirable cars are seen as a bigger target for thieves and vandals, or that inexperienced drivers can't handle the power beneath their bonnets, many insurers use a range of excuses for overcharging their customers. At Adrian Flux, we look past the stereotypes to find our customers the best insurance for them, at the best price. We know that because you've worked long and hard to secure the car of your dreams and put countless hours into its care and maintenance, so you're more likely to take better care of your car than the average motorist. To help reward drivers of high value and classic cars who take care of their vehicles, Adrian Flux offers a range of policies designed with your exact circumstances in mind. From the care at attention you pay your classic car to the safety and security around your rare and valuable motor, we take your car and experience into account for every quote. As well as classic and valuable cars, high performance cars can be covered with Adrian Flux's specialist insurance too, from the latest BMWs and Porsches to the fastest McLarens and Lotuses. Where other insurers might charge over the odds for the perceived higher risk of powerful cars, especially for younger drivers, Flux's common sense approach can find affordable but reliable cover for anyone. Adrian Flux also offers special insurance for modified cars, so no matter what changes you've made, interior or exterior, for performance or aesthetics, you can be sure of getting cover. Like-for-like insurance is provided for many modifications too, so you won't lose out after an accident or theft. For over 40 years Adrian Flux has been finding specialist insurance quotes to suit a huge range of motorists and their vehicles. Sourcing our quotes from a panel of 40 different nationwide insurers, our staff are able to find policies that fit practically any make or model of car, for any driver in any circumstances. 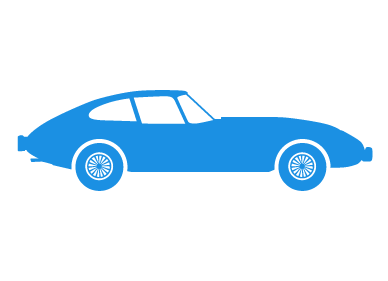 To find out more about all of the classic, high value and performance car insurance policies available, call our Norfolk offices today and speak to our private client team on 0800 089 5550 or click the quote button now.